F ounded in 1743, Jean Rabel (Pronunciation: ZHAW-rah-BEL) is a beautiful, mountainous county located about 150 miles north of Port-au-Prince. 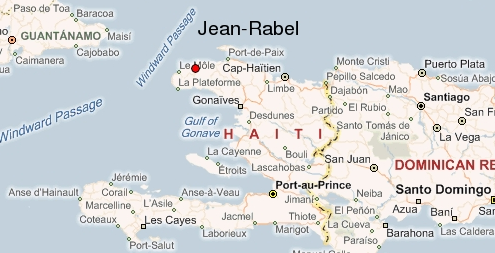 Jean Rabel is part of the North West department of Haiti, in the district of Môle Saint Nicolas. The county of Jean Rabel also contains a town by the same name where most of the business in the area is performed. Sub Divisions include: the Town of Jean Rabel, Lacoma, Guinaudee, Vielle Hatte, La Montagne, Dessources, Grande Source, and Diondion. Fun Fact: When Christopher Colombus discovered the Island he called “Española”, the point on which he docked was the Taino-inhabited Marien section of the land, now present-day Jean Rabel, Haiti! There are no direct flights that will take you to this beautiful corner of the island; therefore few foreigners have visited its approximately 125,000* inhabitants. Thankfully, this leaves the people not with their hands out in a state of dependency, but with a yet-to-be-harvested potential of wealth. They do no t lack in love and generosity, but in education and resources. 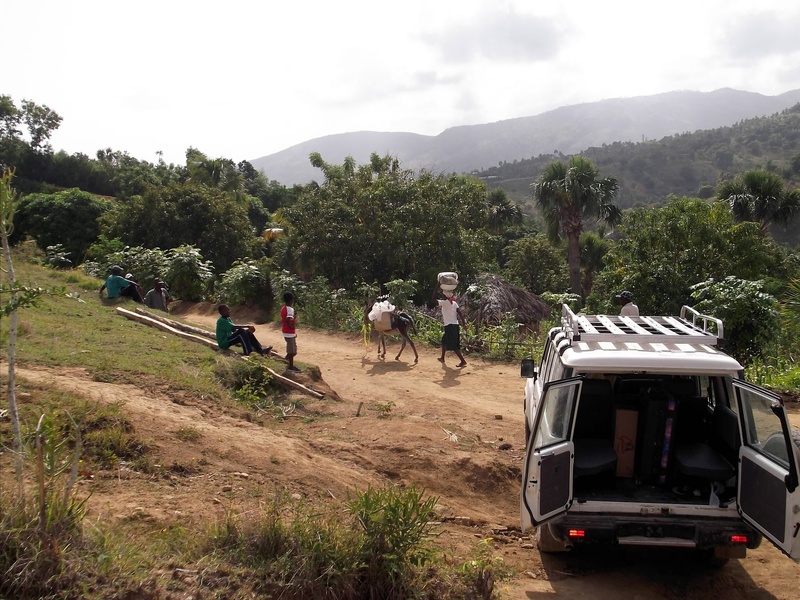 We at VOJR are willing to travel the 8-10 hours by road vehicle from Port-au-Prince in order to help them in building their own community to a state of self-sufficiency. Farmers work with livestock and agriculture as a means to live, though with a lack of irrigation or machinery. There is a River of Jean Rabel that flows through the town, though because of common drought, the people must rely on rain as their source for water. 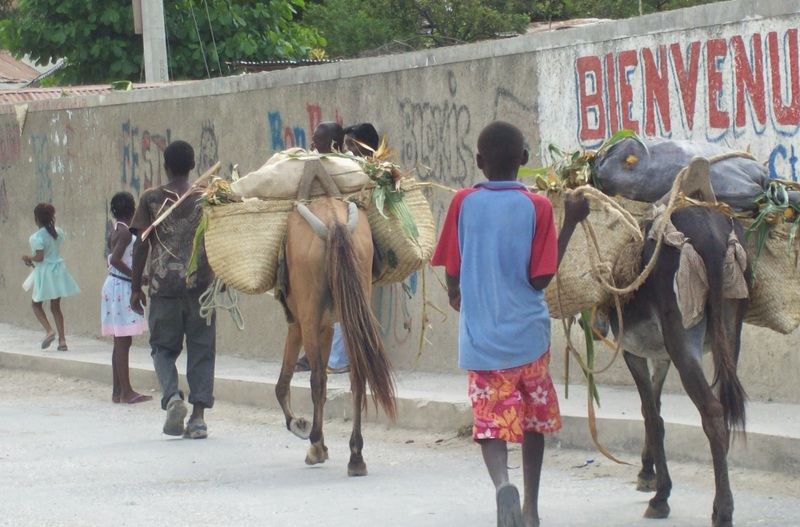 Despite their struggles, farmers in Jean Rabel continue to produce crops such as beans, manyok (yucca), sweet potatoes, yam, corn, plantains, mangos, and olives. Also common on the market are coffee, sugar cane, peanut butter, and artwork. By recruiting experts in better farming techniques and mechanization, VOJR can bring a wealth of knowledge to help Jean Rabel prosper in agriculture. In Nan Iri, the area that we are currently working, 45% of the children go to school. L’Eglise Baptiste Fraternité includes a school inside the rickety church building, a one room structure. In the town of Jean Rabel there are vocational schools for carpentry, sewing, plumbing, and electricity, though it is difficult to find jobs in these areas after graduation. Those whom are educated often migrate away from Jean Rabel in pursuit of a better life, leaving Jean Rabel without leadership. VOJR would love for these potential leaders to be drawn back to their homeland by creating jobs suited to their capabilities. Because of their lack of knowledge and leadership, over three-fourths of the population resort to voodoo practices, believing that invisible satanic spirits can serve them as a favorable remedy to their life’s situation. While promising wealth, these spirits use them to attack even their own families, who in turn find the need to also practice voodoo to protect themselves. 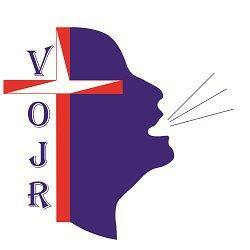 But we know that our God is God over all of these spirits, and we at VOJR will use the Name and Power of our Lord Jesus Christ to reconcile the community back to God. *Note: Approximation according to past research. Due to lack of available informational resources, there is difficulty in finding a credible source for accurate census numbers.